Enjoy the finest in luxury and service at the Hilton Los Cabos. As a guest at this fabulous escape you will enjoy the best in service, food, and accommodations. Guests will be amazed at the fully appointed guestrooms that are a retreat within themselves. During your stay take time to experience everything this amazing city has to offer from world classing fishing, great food, and an abundance of night life. If you are looking for a getaway this resort is for you with world class amenities, fantastic spa, and breathing taking ocean views. 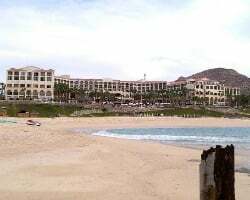 Enjoy Mexico in the lap of luxury at the Hilton Los Cabos. Prime location right on the beach! uyer May Receive A Title Fee Credit, Inquire For Details!